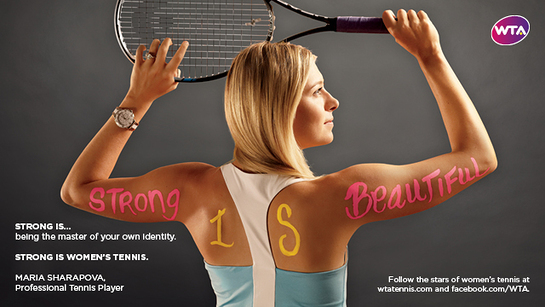 The Women’s Tennis Association (WTA) unveiled the new Strong Is Beautiful Celebrity Campaign on Tuesday, featuring celebrities from entertainment, music, business, film and sport speaking of their love of women’s tennis. 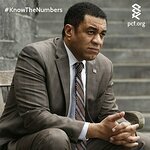 The first phase of the campaign features superstars like The Queen of Soul, Grammy Award winner Aretha Franklin; Academy Award winning actress Susan Sarandon; English business magnate Sir Richard Branson; real estate mogul Donald Trump; Academy Award nominated actor and Emmy winner Stanley Tucci; Grammy award winning producer and the host of American Idol Randy Jackson; former member of Destiny’s Child and multiple Grammy award winning singer Kelly Rowland; Grammy Award winning superstar producer Timbaland; two-time major champion and No.1 golfer in 2012 Rory McIlroy; member of Girls Aloud and BRIT Award winner Nadine Coyle; Blue Bloods actress Bridget Moynahan; R&B singer Ciara; superstar DJ Bob Sinclar; and Tony award nominated star of American Idol Constantine Maroulis. Billie Jean King, founder of the WTA and a legendary pioneer of women’s rights, participated too. WTA stars are also featured, including Maria Sharapova, Serena Williams, Kim Clijsters, Caroline Wozniacki, Li Na, Victoria Azarenka, Agnieszka Radwanska, Sam Stosur, Petra Kvitova, and Ana Ivanovic. The WTA plans on producing additional phases of the campaign during the 2013 season with more stars of film, music, fashion and sport lending their support. “As a lifelong tennis fan, I am really excited to be a part of the new women’s tennis campaign, which supports these extraordinary women who embody both concepts of ‘strong’ and ‘beautiful’,” Susan Sarandon said. “I’ve had the pleasure of getting to know some of the stars of women’s tennis in the last few years and they are not just amazing athletes, but great people. I love the sport and am happy to participate in the campaign,” Donald Trump said. The new campaign is an extension of the WTA’s current Strong Is Beautiful global advertising campaign, launched in 2011, and focuses on each celebrity’s personal achievements and past experiences. WTA’s original Strong Is Beautiful campaign features 40 current and next-generation stars of women’s tennis offering an inside look into the players’ athleticism, grace and extraordinary inner strength – a unique combination that has turned the stars of women’s tennis into the most recognizable and followed female athletes on the planet. 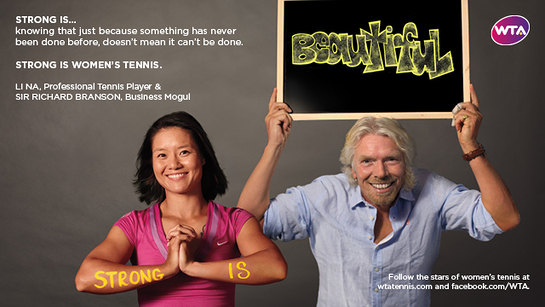 The Strong Is Beautiful Celebrity Campaign is comprised of print and video elements and will run globally, culminating with the season-ending TEB BNP Paribas WTA Championships in Istanbul, Turkey, from October 23 to 28, 2012. The Celebrity Campaign will go hand-in-hand with the current Strong Is Beautiful campaign and will be featured in more than 80 markets in the next two years. Reel Sessions, a Los Angeles production house, instrumental in the execution of the original Strong Is Beautiful campaign, produced the new campaign. Viewers and fans can continue the conversation with WTA players through social platforms such as Facebook, Twitter, YouTube and a series of Chinese social media networks where the WTA serves up daily, in-depth, exclusive content from 52 tournaments in 32 countries to more than 36 million fans.